Rugged VS Consumer tablet – Where is the difference? Sad news of a premature end…of life! Recently, a customer purchased a sample rugged tablet, then tested it for several months. They finally approved the sample, for a bulk order of 100 units. Then, the supplier said that due to the delay, they are unable to comply. That model had gone EOL (End of Life). As a consequence, the customer was forced to begin a new round of evaluations from the beginning. What a waste of time and effort! Today, we are going to reveal some secrets about Chinese rugged tablet product selling lifetime, and tips to avoid such trouble. Is a long selling life important? Consumer grade electronics of course have a very short market life, driven by marketing requirements. A manufacturer will deem the product a viable option in the consumer marketplace until competition means the unit will need to upgraded or replaced. This could be a 1 year cycle, especially for market leaders. Take for example the iPhone 7. Images and specs of the iPhone 8 were leaked soon after the 6 was released. The flagship model 7 was current for only one year, from September, 2016 until two months ago. Industrial tablets require stability for logistics, training, and support. Widely used in field survey, forestry, utility, law enforcement, these normally require at least a 36 month maintenance warranty. We once received a request from a European water equipment company, asking for an extended warranty for 10 years! Customers pay two or three times the price of consumer offerings from Apple or Samsung for a rugged device which lacks their features. Naturally, customers expect a longer life span. What is the standard selling life of a Chinese rugged tablet? There is not a standard selling lifetime in China. 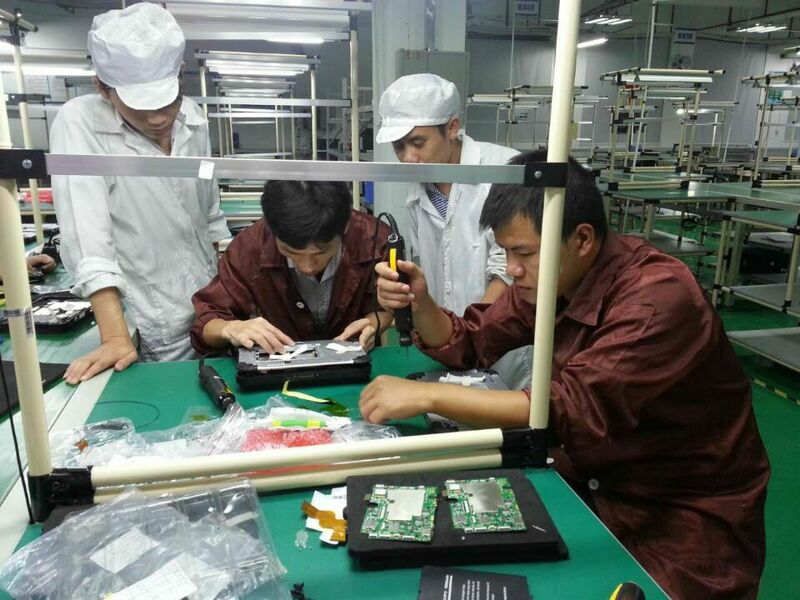 RuggedT have been involved in the Chinese rugged tablet business for five years. During that time, we have seen least 200 rugged tablets come and go. The longest lived model, T70, is still selling. It was introduced in 2012. However, many models have a lifespan of less than 15 months. 36-48 months is the regular selling life for a good rugged tablet. How to choose a stable, long selling rugged tablet . Not all stable factories are large, and not all large factories are stable. Use your sourcing guide to ensure you choose from among only factories with good orders, a trusted distribution, a careful owner, and long history. There do exist some consumer tablet giants who can offer good and sustainable rugged tablets. However, in most cases, consumer device factories are used to a different model: fast launch a product to test the market. If not good, stop! Suppliers used to this model won’t spend too much time and effort researching the market, choosing the best stable components in their design. To the contrary – professional rugged tablet manufacturers normally are quite cautious and move slowly. They do their testing and verification carefully. Often they will have extensive test suites and an extensive design defect tracking system. These, you should ask to see. Even great tablets can be stopped dead in their tracks when key components go EOL. For example, several rugged tablets used the Intel Baytrail Z3735F. Introduced in 2014, that chipset is stopped. And so are the tablets which used it. “Bleeding edge” new components can bring their own hazards – bugs, long ramps, and poor availability to smaller manufacturers. If a rugged tablet sells very well, there is a better chance the factory will continue to invest in the engineering and prototype costs required to update components, firmware, and software and keep the program alive. Independently verify sales numbers, if possible. Ask the firm how long the model before the current one was updated, which components were replaced over its lifetime, and how many engineers are assigned to keep the product rolling, as opposed to true new product development. A good manufacturer will have ready answers to such questions. Beware a common gimmick that salesman like to play: “No worries my friend. Even if we stopped this model, if you have order in the future we will restart production.“ Honestly, this is unrealistic for anyone who orders fewer than a thousand units a month. EOL parts supply chains dry up very quickly in today’s fast-paced world. Typically, even if you are prepared to purchase key components well in advance, you have fewer than six months from last time buy to true stock out. Please, drop a mail to info@ruggedt.com if you have any questions regarding this topic. We’d love to help! Share it if you like ! A Business Lesson Worth a Million!